Home › Blog › Lifestyle › When is the Best Time to Visit Cabo San Lucas? Cabo San Lucas welcomes around 3 million tourists every year. The number of people flocking to the Mexican municipality is growing year by year. It’s no wonder you’re considering buying your second home in Cabo San Lucas. The weather in this wonderful and exotic destination is magical. The best time to visit Cabo San Lucas depends on what you want to do while you’re staying in your vacation home. That’s why we’re going to take you through the different times of year to go to Cabo San Lucas. Let’s go! According to research entitled “Most Like it Hot,” nearly 60 percent of Americans want to vacation somewhere with a hot climate. If you’re one of these sun worshippers, you want to head to Cabo San Lucas during either June and July or from late-October to early-December. That’s when Cabo San Lucas is warm and dry nearly the entire time. This way you avoid the rainy season which starts in August and lasts until late September. If you want to enjoy the hottest temperatures of the year, make your way south in July where it regularly reaches 90 degrees Fahrenheit. Cabo San Lucas is, without doubt, a fantastic location for vacations with children. There are plenty of family-friendly activities to do with kids of all ages. Probably the best time to travel as a family is between May and July. That’s because you miss the mayhem of Spring Break, which attracts a lot of crowds and partying unsuitable for young children. You should especially avoid visiting Los Cabos in August and September. These are the months when the temperature is really high, the rain can sometimes be quite heavy and many of the activities are closed to the public. Plus, there sometimes a hurricane or two at this time of year. Do you want a calm and relaxing vacation without having to navigate your way through crowds of people all the time? You’ll find August and September relatively peaceful comparative to the rest of the year. Even though you can still enjoy a number of sunny and warm days, you can’t be afraid of the rain and clouds which are common during this time of year. You’ll discover you have the beach to yourself sometimes. And you probably won’t have to make any reservations for dinner during these months. If you already have your second home in Cabo San Lucas, you’re probably not bothered about searching for vacation deals to save your dollars. However, you never know when you’re going to find a deal on a luxury resort too good to pass up. The best time to look for offers is during August and September when the town is usually quiet. The scuba diving tourism has grown significantly in recent years. This is also the case in Cabo San Lucas, which is a hot spot for diving and snorkeling around the world. The best time to go diving or snorkeling is definitely in October and November because it is the most visible time of year. However, the water is much warmest during July. If you don’t mind the colder water, you can go diving or snorkeling in Cabo San Lucas at any time of the year. 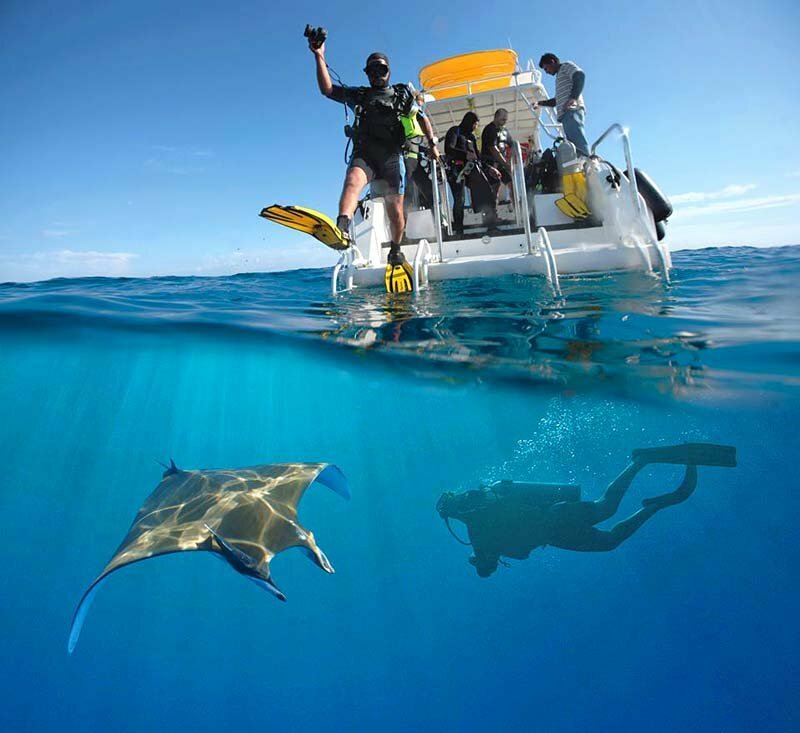 You’ll have a chance of seeing whale sharks, guitarfish and octopuses, and much more sea life. If you’re determined to encounter whales and sharks, you need to visit Cabo San Lucas sometime between early January until March. If you want to join a whale shark tour, you will have to take a drive to La Paz, which is around a 2-hour journey. Surfing is another popular activity in Cabo San Lucas. The best time to surf depends on your ability and experience. However, the best months are between June and August. Head to the Sea of Cortez or the Todos Santos for the some of the best surfs around. If you want a winter surf and you can stand the cold, head out with your board between December and February. If you want to go hiking or camping in the outdoors, the best time to visit is between December and May. The temperature is much more comfortable during these months. Whether you want to hike in Sierra de la Laguna or cycle in the San Jose Estuary, this is the best time of year to visit. There is simply no bad time for sports fishing in Cabo San Lucas. You can nearly always catch something at any time of the year. However, it’s worth knowing that you’ll find different fish depending on the time of year. If you want Tuna, head out with your fishing equipment between June and December. Whereas, if you’re after yellowtail bites, you need to go between January and April. Now you know when the best time to visit Cabo San Lucas is if you want to lay down in the sun or go surfing over the waves. To find out more about buying your second home in Cabo San Lucas, check out our website for more information on the destination and properties in the area.